Welcome to Compliance Hot Spots, our briefing on compliance, enforcement and government affairs. A Covington partner got pulled from a compliance post—days after the Commerce Department's offer—over a "never Trump" letter from 2016. Plus: Larry Thompson wants a little more transparency from VW, and scroll down to see which firm is repping Evan Greebel in his appeal in the 2nd Circuit. As always thanks for reading—and please do send feedback. I appreciate hearing from you about what's on your plate—observations, trends, new clients. I'm at cbarber@alm.com and 202-828-0315, or follow me on Twitter @cryanbarber. President Donald Trump demands loyalty. We know that. But what about the U.S. Commerce Department? 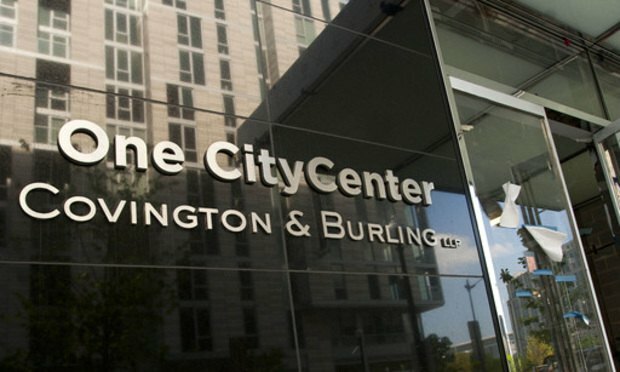 Commerce officials recently pulled back their offer to Covington & Burling partner Peter Lichtenbaum to lead the special compliance team overseeing the closely watched ZTE Corp. settlement. A Reuters report said Commerce yanked the appointment after learning Lichtenbaum was among the dozens of national security veterans who signed a "never Trump" letter in the runup to the 2016 presidential election. Many big names signed that letter—but so far nobody is speaking up publicly about the Commerce decision to pull its offer. Lichtenbaum co-chairs Covington’s international trade and finance practice. The firm has declined to comment. My report on the fiasco generated a lot of attention in legal circles—and I'm interested in hearing more feedback from you. Cautionary tale? Unfair decision? Shoot me a note. One compliance professional emailed this to me: “scary” story. Barnes & Thornburg white-collar partner Roscoe Howard Jr., a veteran prosecutor and former U.S. attorney for D.C., got the nod as special compliance coordinator. Howard wasn't reached for comment, but he said in a statement through Commerce: "My team and I will be vigilant in efforts to ensure that ZTE complies with all U.S. export control laws and regulations." Larry Thompson, a former deputy U.S. attorney general who is the VW independent compliance auditor, or ICA, is demanding more transparency from the company. Read Thompson's first annual report here. "Occasionally, the ICA has contended with the VW defendants’ reluctance to share certain information," wrote Thompson, counsel in Atlanta at the firm Finch McCraine. "This reluctance has included the VW defendants’ use of redactions in documents provided to the ICA, based on claims of attorney-client privilege, attorney work-product, and data privacy." Hiltrud Werner, a VW board member overseeing integrity and legal affairs, said at a news conference: “Volkswagen is striving to achieve excellence in integrity and compliance within all its brands, regions and companies. This includes not only our structures and processes, but also our attitudes and conduct." Side note: Thompson was among the "never Trump" signatories on the national security letter last year. He didn't immediately comment on the fallout involving Lichtenbaum. We reached out to several other lawyers who were on the letter—and they either declined to comment or were not reached. The missive said among other things that Trump "weakens U.S. moral authority as the leader of the free world" and that he lacks "basic knowledge about and belief in the U.S. Constitution, U.S. laws and U.S. institutions." One of the prominent signatories, Arnold & Porter partner John Bellinger III, told Foreign Policy recently he had no regrets signing the letter. "I think every word has turned out to be true, and worse," he said. "The Commodity Futures Trading Commission unanimously approved rules this week that simplify the regulations governing chief compliance officers of swap dealers, major swap participants and futures commission merchants," according to the Wall Street Journal. Sanctioning Russian oligarchs sounds great and all—until the consequences hit. U.S. sanctions against the Russian oligarch Oleg Deripaska "caused havoc far beyond Russia," driving aluminum prices up and “battering U.S. and European companies that use the metal,” the Washington Post reports. The episode serves as a cautionary tale about the ripples sanctions against Russia can send across the global economy. And it comes as the Trump administration rolls out sanctions affecting U.S. technology exports. My colleague MP McQueen's report from May— What New Russia Trade Sanctions Mean for US Companies and Investors—is ever more timely. >> Williams & Connolly was hired to represent Evan Greebel, a former partner at Katten Muchin Rosenman, in his criminal conviction appeal to the Second Circuit, according to Kannon Shanmugam. 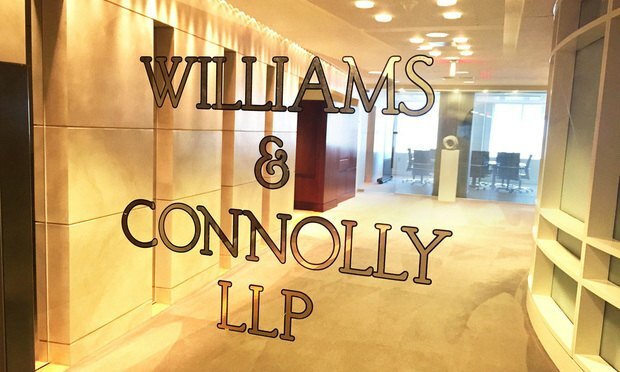 Shanmugam, leader of the Williams & Connolly appellate team, made the announcement in a tweet. Greebel represented Martin Shkreli's pharmaceutical company Retrophin Inc. The attorney was sentenced in August to 18 months in prison on conspiracy charges. >> Skadden, Arps, Slate, Meagher & Flom partner Keith Krakaur, head of the firm’s European government enforcement and white-collar group, and New York-based white-collar partner Christopher Gunther, were on the team advising Switzerland-based Basler Kantonalbank in its deferred prosecution agreement, announced Tuesday by the U.S. Justice Department. BKB agreed to pay $60.4 million in penalties for helping U.S. taxpayers conceal income and assets. >> Miller & Chevalier partner Matthew Reinhard represented the U.K.-based seismology company Guralp Systems Ltd. in a U.S. Justice Department foreign-bribery investigation. Prosecutors recently declined FCPA charges. Daniel Kahn, deputy chief of the Justice Department’s fraud section, credited the company's "substantial cooperation" in announcing in a new declination letter that the government would not bring a case. >> Adam Siegel of Freshfields Bruckhaus Deringer US LLP, where he heads the U.S. dispute resolution practice and co-heads the global investigations practice, helped Insurance Corporation of Barbados avoid prosecution in a Justice Department investigation into bribes high-level employees paid to a top government official. In a public declination letter, dated Aug. 23, the Justice Department cited the firm’s timely self-disclosure, disgorgement of nearly $95,000 in ill-gotten gains and improvements to its compliance program and internal accounting controls. Read the full declination memo here. >> Lawyers for Goldman Sachs Group Inc., represented by a team from Sullivan & Cromwell, want a Manhattan federal judge to push a whistleblower's claims to arbitration. Read partner Theodore Rogers Jr.'s request, filed Monday, in the case Rollins v. Goldman Sachs Group Inc. Matthew Press and Seth Eric Redniss represent the plaintiff. Bloomberg has more here. >> John Savarese, a partner at Wachtell, Lipton, Rosen & Katz, helped Legg Mason resolve SEC claims related to an alleged scheme to bribe Libyan government officials for investment business. The firm agreed to pay more than $34 million to put to rest claims that a subsidiary and a French financial services company engaged middlemen to bribe government officials in exchange for business from Libyan government-owned financial institutions. According to the SEC, Legg Mason netted about $31.6 million in revenue stemming from its business with the Libyan firms. Reuters has more here. • Former federal prosecutor Tim Heaphy, who once criticized UVA will be the school's next top lawyer, my colleague Phillip Bantz reports. Heaphy, a UVA alum, starts his new post Sept. 1. He is currently a partner at Hunton Andrews Kurth, where he chairs the firm’s white-collar defense and internal investigations practice. • ConocoPhillips has hired Baker Botts energy deal star Kelly Rose as the company's new general counsel, according to a report from my colleague Dan Clark. Rose will replace Janet Langford Carrig, who has been with the company since 2006. • San Francisco-based software company Riverbed Technology Inc. has named Rebecca Hazard the new general counsel. Hazard's responsibilities will now include trade compliance issues. She joined Riverbed in 2007 from Kirkland & Ellis.